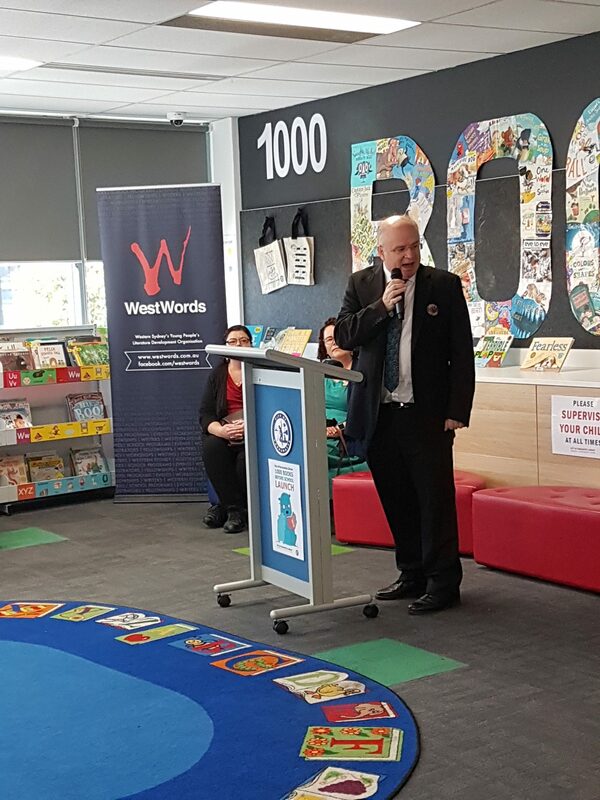 WestWords is delighted to partner with Parramatta City Library to present an exciting new program called 1000 Books Before School, which officially launched on Monday the 5th of February at Parramatta Library. 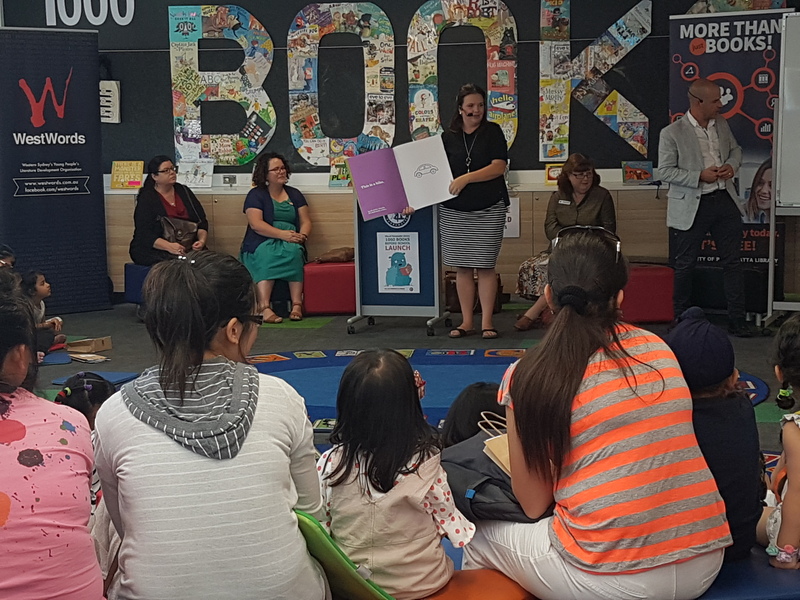 This highly successful program first started in the US and then rolled out across libraries in Victoria. WestWords invited Beck and Matt Stanton, authors of the Books That Drive Kids Crazy series, to help launch the program. Beck used to be a teacher and illustrator Matt is also the author of the best selling Fart Monster picture book series and hilarious new series for older readers, Funny Kid for President. They read their book This is a Ball to an audience of 0-5 year olds, their parents and carers, and the Mayor, and briefly talked to parents and carers about the importance of reading to, and with, children. Matt Stanton ‘fixes the mistakes’ in This is a Ball! Register here via the online resource Beanstack. 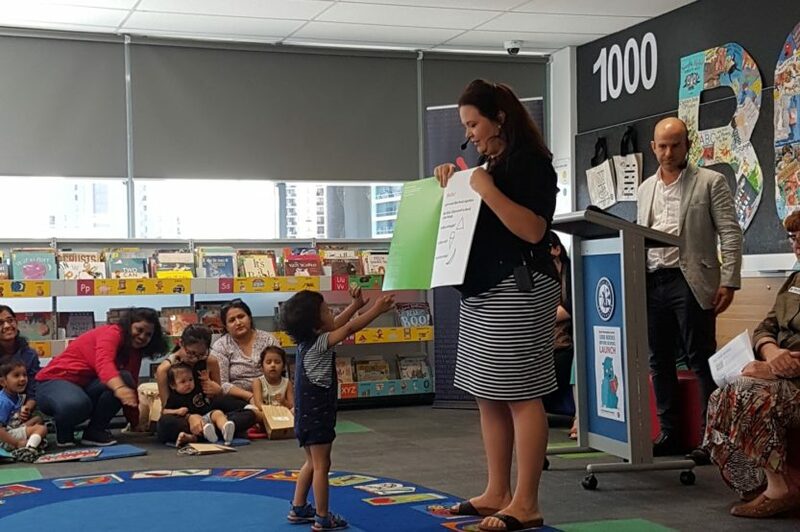 This interface allows parents and/or caregivers to register their children and log their books while being awarded e-badges to mark their progress at various stages. 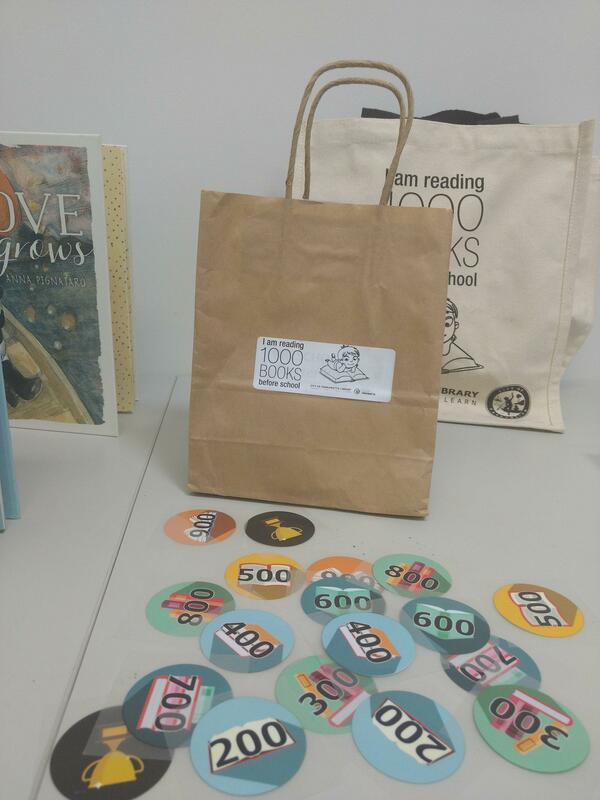 To encourage children to visit the library to borrow items, the library is offering specially designed ‘1000 Books Before School’ bags. The first 1000 kids to sign up get a free bag! Kids also receive a free bag of goodies upon signing up. 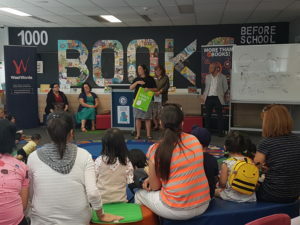 Children must be a member of Parramatta library to participate in the program. 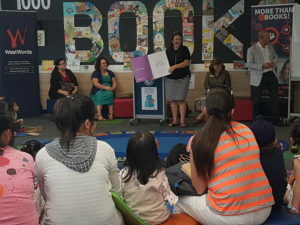 The program finishes once a child has read 1000 books, or when they turn six. 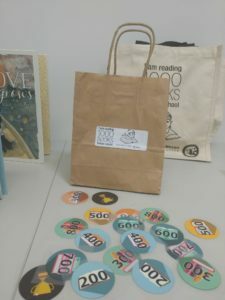 No matter the material, one book a day from 3 years will get you to 1000. A pop up program of events for young writers! 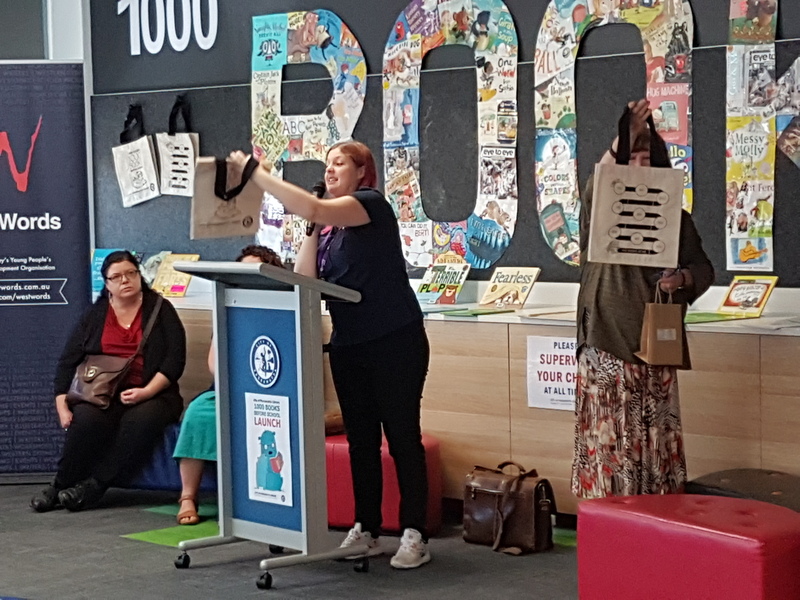 Harry Laing, kids’ poet and rapper extraordinaire, ran a day long experimental Writing workshop and zine making adventure at the Penrith Regional Gallery & Lewers Bequest. 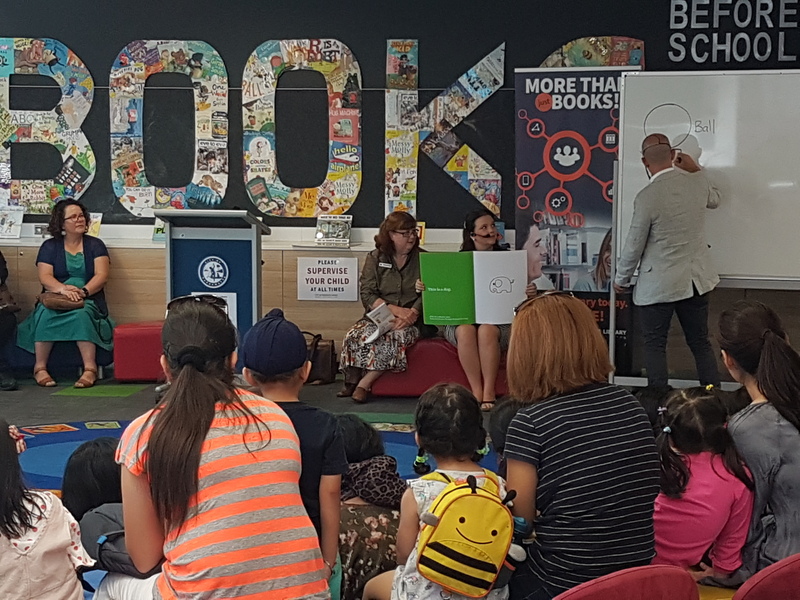 One big day of inspiring, creative writing for kids aged 9-12! Tulis (Too-lis) Writing Exchange is a two-way Australian/Indonesian exchange for established writers held at Komunitas Salihara (Jakarta) and the 2018 Ubud Writers and Readers Festival. 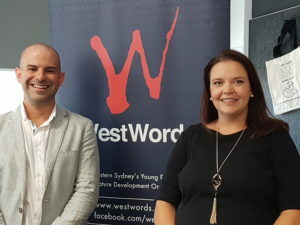 WestWords and Campbelltown City Council are pleased to announce the launch of the Campbelltown Writers’ Retreat at Wedderburn, the first of three WestWords Writers’ Rooms across Western Sydney.